I’ve always envied Americans and Canadians, or indeed any sports fan that lives in a country where their favorite sport is easily accessible, and where collectibles and memorabilia are sold in every major outlet and corner shop. You would assume then that being British I would be football (sorry, soccer as you may call it) mad and that I’d be going to local games, buying merchandise and soaking up every available source of highlight, news and TV coverage. For me, that’s just not the case. From an early age I never really got my head around soccer even though it was on every channel, played in every available field and was all my friends would talk about growing up. Collecting soccer cards and stickers was a staple part of life growing up in the late ‘80’s and early ‘90’s in the U.K. While I wasn’t interested in the game itself, the collecting, trading and being part of that hobby community was something that really appealed to me. 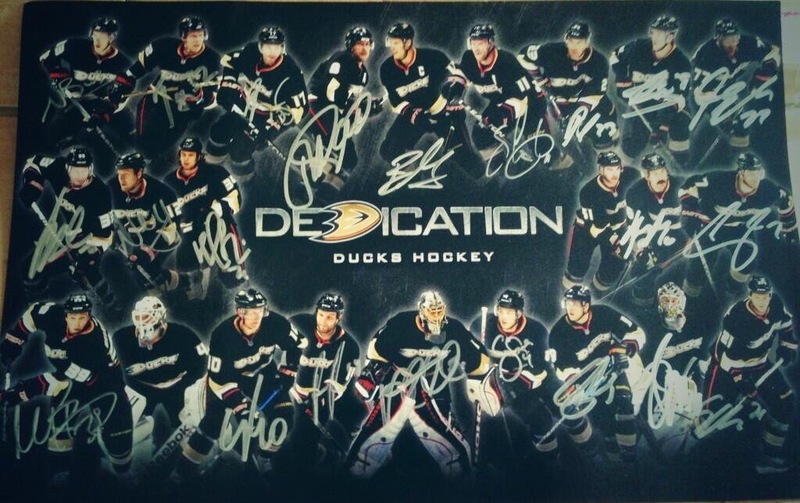 from my beloved Anaheim Ducks! 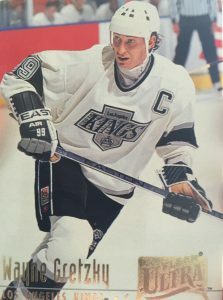 After the film’s release, interest in the sport of hockey in the U.K. took off and I trained and played every day in local roller and ice leagues. Merchandise and trading cards were still near impossible to come by apart from one shop in Manchester which would import comics and cards from the U.S. 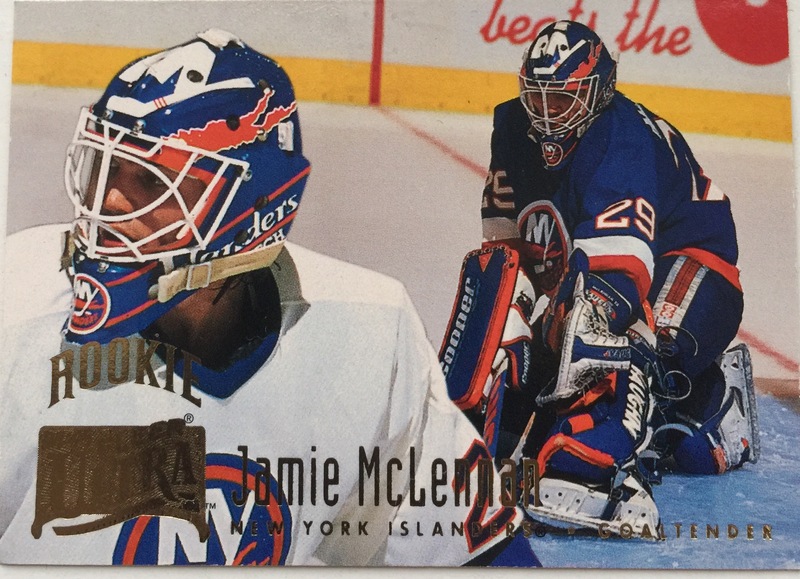 I went in one day and saw behind the counter that there was an unopened box of 1993-94 Upper Deck NHL Hockey. The employee sold it to me for a discount as he had ordered it in for someone and they ended up never coming back in. 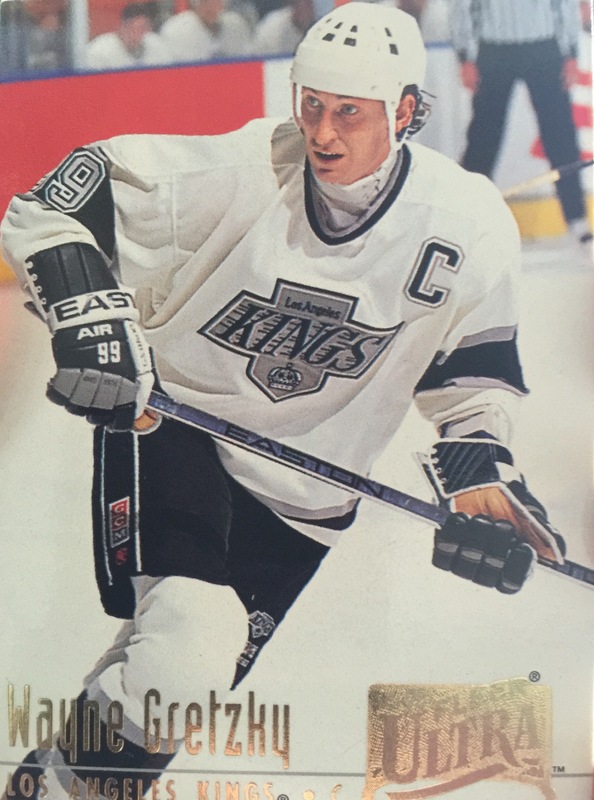 1993-94 Upper Deck NHL Hockey box all those years ago! 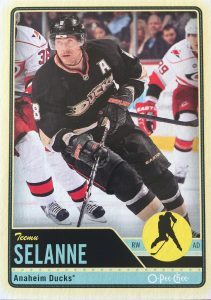 It was the best feeling ever to be opening the box and individually opening the packs and pulling cards of some of my idols such as Wayne Gretzky, Steve Yzerman and Teemu Selanne. Once I finished opening the whole box, I instantly wanted more! The sad part was this would be near impossible as this was before the golden age of the internet where purchasing boxes online could not happen, and shops in my area would refuse to bring in hockey product to a non-hockey market. Fast forward to just last year when I came across a post on Twitter that forever changed my life. 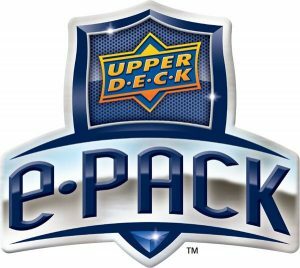 A post promoting a new trading card platform from Upper Deck…e-Pack! I went to the website, created an account, registered and logged on within a couple minutes and immediately a world I never thought I’d have access to again had opened up to me. 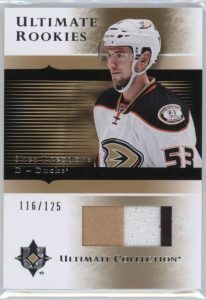 Within minutes I was buying packs, trading and starting to build my Anaheim Ducks personal collection. I was speaking with a community of people that I never thought possible and connecting me to fans across the world. 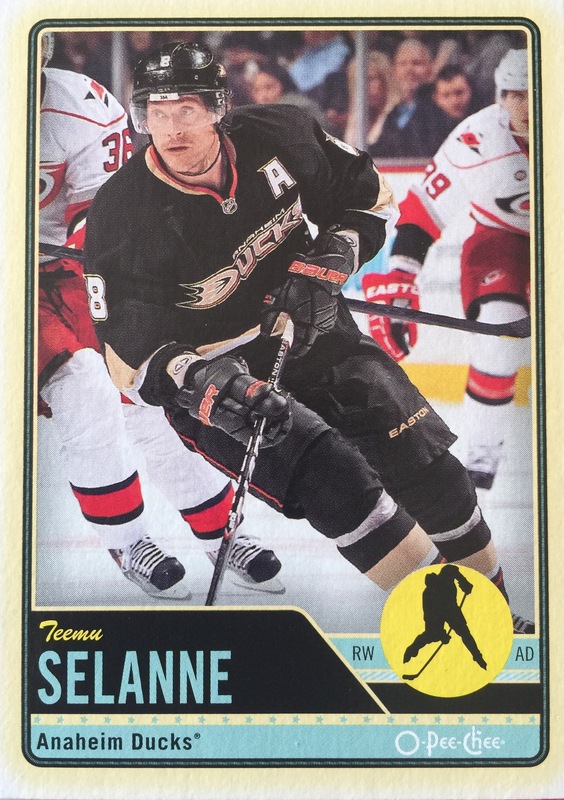 been lucky enough to pull on e-Pack! I really can’t thank e-Pack enough for allowing me to access this world and also allowing me the opportunity to introduce card collecting to my son, who helps me collect when I am on e-Pack with him. I may still live “across the pond,” but with the help of e-Pack, I feel like part of the collecting family. Nick has been collecting for the last 20 years but only had been trading since the launch of e-Pack. 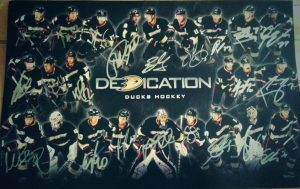 He’s a Ducks fan to the core and focuses all trading and collecting on building his Ducks collection. 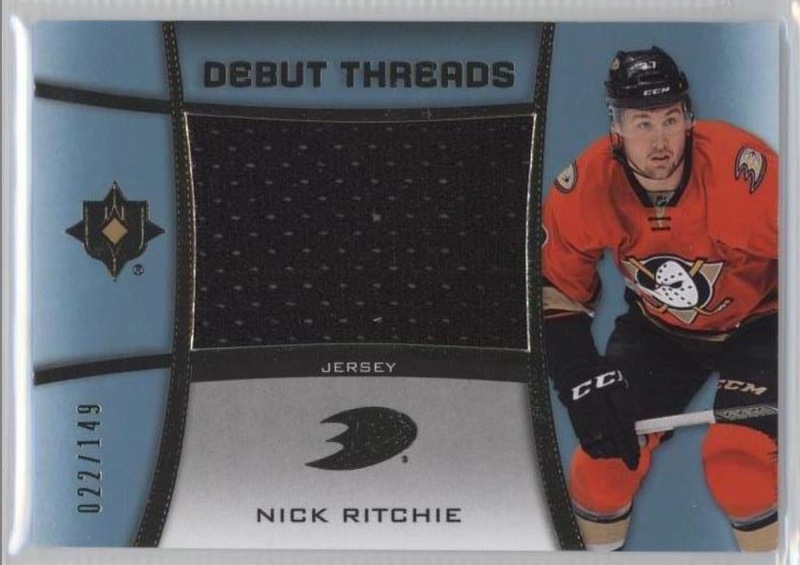 He’s actively on e-Pack day and night chatting and trading under the username NICKWISE10 so drop him a PM or hit him up with some Ducks trades!